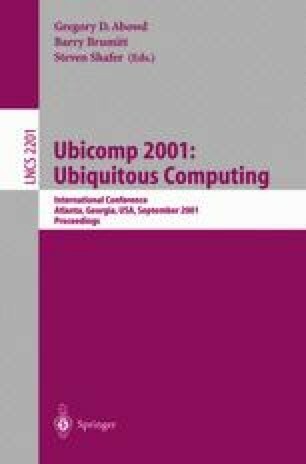 One of the general themes in ubiquitous computing is the construction of devices and applications to support the automated capture of live experiences and the future access of those records. Over the past five years, our research group has developed many different capture and access applications. In this paper, we present an overview of six of these applications. We discuss the different design issues encountered while creating each of these applications and share our approaches to solving these issues (in comparison and in contrast with other work found in the literature). From these issues we define the large design space for automated capture and access. This design space may then serve as a point of reference for designers to extract the requirements for systems to be developed in the future. Smart Technologies, Inc. SmartBoard. http://www.smarttech.com. Wactlar, H., et al. Informedia Experience-on-Demand, Capturing, Integrating and Communication Experience across People, Time and Space. http://www.informedia.cs.cmu.edu/eod.